BMW Group has chosen SGL Carbon to supply carbon fibers for the BMW iNEXT. 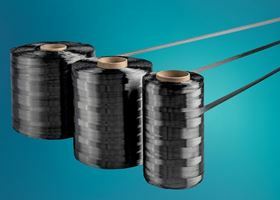 BMW Group has reportedly chosen SGL Carbon to supply carbon fibers and semi-finished textile products for a range of components in its upcoming next-generation electric vehicle, the BMW iNEXT. In addition to carbon fibers, the framework agreement also covers a number of different glass and carbon fiber fabrics. Delivery is expected to start in 2021 and will last for the vehicle’s entire lifecycle. ‘As far as we know, this will be the second largest electric vehicle series project in the industry after the BMW i3, in terms of the total volume of carbon fibers it is expected to use,’ said Andreas Wüllner, president composites – fibers & materials (CFM) at SGL Carbon.